Gokit is a young partner of Contentools. The agency has been open to business since late 2016. Right from the start, content marketing was one of the main products in their portfolio. Initially, their production was handled internally by their own team. They reached out to us and we began a partnership that has resulted in many assets to their internal dynamic. Today, GoKit can maintain their internal team super lean and still help clients from different areas, delivering solid results and growth! Here’s the story of GoKit struggles before partnering up with Contentools. Stay tuned to learn how the partnership works, and let us show you the results we have gotten so far. There is a client with specific demands in the pipe: what now? So GoKit held this meeting with a client. Everything was going smoothly until they realized that they couldn’t help them with the specific demand they had. The reason? GoKit simply didn’t have any expert writer on that specific topic in the team. It was then that they realized a helpmate would come in handy. You know, finding writers you can rely on is difficult as it is, finding well-read, experienced ones from different backgrounds? Now, that’s a real struggle! Well, that’s where we came in. Here at Contentools not only do we help companies to gather razor-sharp teams of content professionals to help bring a Content Strategy to life, we go far beyond. Because after we helped you cluster a trust-worthy valuable team, we’ll help you manage your production through a all-in-one platform. And that’s what we realized GoKit would greatly benefit from as well. If you’re in the Content Marketing Business, chances are Contentools is going to become your go-to platform. You name it: establishing a team, planning, creation, distribution and result’s analysis. We offer solutions on all fronts! Gokit’s success is a statement of how effective, simple and quick the whole implementation really is! Opportunities keep coming: keep the agency’s own Content Marketing running! Ok, a quick recap. Their first demand was for putting together a team of copywriters for specific areas. Now, something else came on: How are they going to handle this new team and manage it on a daily basis? You guessed it, Contentools was the answer. But why stop there? Soon after our initial talks, the agency realized that our platform could also make their internal content production possible. GoKit couldn’t keep their own strategy going because they lacked a system to ensure high-quality content coming out of the oven at a decent speed. So, we put together a team of Content Marketing expert writers to act in a more operational fashion in GoKit’s production process. The agency was then able to create its own strategy and to bring it to life, thanks to an on-demand team. Bear in mind that this is happening on the same platform! The first thing you have to do is to outline your goals and your strategy. So, in the beginning, we entered their strategy on the platform, so that all the team would be clear about the company’s goals and how to get there. I gave some guidance on the definition of personas and their purchase journeys as well as key-words, goals, tone, and sources of reference. As a result, the production team was, now, on their marks, ready to deliver excellence to their clients. There’s no miracle here, to get to the right people, at the right moment, with good ranking in search engines, you got to know your target’s profile and the best moment in the buyer’s journey to talk to them. Besides helping us to set a foundation where to create our action plan, a strategy also allows us to later assess the need for specific action to enhance the impact of your content marketing – because it serves as a comparative base between the actual moment and the place where you want to get. Versatility: the importance of a good community of content professionals you can rely on! You probably know how hard it is to find an expert to help you with a job requirement you have. At times it will be exhausting, and even a hassle to find them right when you need them. Still, if you’re in a Content Marketing Agency, that’s going to happen more often than not. So, ideally, you should have a poll of experts to turn to when clients come in with all sorts of demands. In a nutshell, if you want to deliver content of quality to clients from different areas, you’ll need a good network. For GoKit, versatility in content is paramount to the value that they deliver to their clients. That’s how they guarantee good content for every client every time. The recruitment of freelance copywriters to fill such demand used to be a pain – but as partners of Contentools, GoKit has direct and unlimited access to our community of professionals and they can find a writer whenever they want! During the implementation phase, we talk about the possibilities. You present you with a poll of professionals from different areas of focus – from editors, writers, and designers to content managers, social network professionals, and even video production, caption and editing. In other words, we make it so that in the early stages the client has already a complete team set up; a team which we help to put together according to the company’s need. That demands, of course, a fairly deep look into the skills and experience of content professionals, so we can strategize on how the contents will address different moments in the purchase journey, making for a thorough content map. By the way, here we talk more about the requirements to become a professional of the Contentools Community. Today, GoKit is assured of their ability to help clients from completely different areas because they know they can put together a perfect team for each client! That is, even if a new client comes up with an innovative kind of product, no problems there. GoKit is sure that they can tailor a team of professionals for virtually any demand, from any client- thanks to Contentools! And that’s how you do versatility, ladies and gentlemen. “There are two main points of change when you start using the platform. The first and more obvious change was the centralization of all the content production in one place. Everything that happens and that is related to content is centralized in Contentools. That is great because it facilitates the work and the control of what is being done. All of that has been done to meet the agency’s needs resulting in the optimization of the whole production process. With these measures, everybody got to keep track of each activity more accurately and closely – an editor is automatically notified when a new content comes under his or her responsibility for example. Posts automation: why on Earth would you keep posting manually? As if optimizing the production process was not enough, Contentools also lets you automate your publications. GoKit, for example, doesn’t need to assign this rather uninteresting, boring task to a professional. Rather, this person can now dedicate his or her time to more interesting and valuable tasks. How does it work? Well, from the platform, you can program different contents to be posted directly to the blog or social media. We worked together with the agency during the implementation stage, to make sure they learned the ropes. In just a few weeks, GoKit was already creating content with our supervision, testing all the steps of the process and distributing content automatically! A well-designed Content Marketing strategy will impact many areas in a company. For agencies, the greatest impact will be seen in stories of success, they increase the agency’s authority in the market. As for the clients of these agencies, the impact happens not only in branding but also in sales. We analyze these results to determine the ROI, and to decide whether or not to pull the plugs on a certain strategy. As the production was happening we were making sense of the data which the platform delivers automatically, through the integration of analytics and the content library. We had valuable insights on the strategy performance. Just to name a few things you can do with that data: you can check if you need to invest more in certain contents, assess how each material is performing – and decide whether to make changes or if it is more of an ‘if it ain’t broke, don’t fix it’ situation. By analyzing GoKit’s data, we noticed an important increase: over the last 6 months, there has been an increase of 200% in organic traffic! After dropping this outstanding results, do I need to say anything else? I guess not… but there is more anyway! Take a look at the sweet results one of GoKit’s clients had after Contentools stepped into the field: Over 400% of organic traffic in the last 6 months! 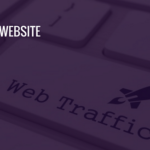 You must have realized by now how huge the opportunities are when it comes to increasing organic traffic to your website. You can draw a winning content strategy, tap into a complete, all-in-one tool, and have an entire team of experts following through your plan, working under your oversight. These are the initial results of GoKit’s clients. The agency’s team is dedicated to go further. The goal is to keep expanding exponentially over the next months. And we are here to provide them with all the support they need and to pop champagne bottles with Felipe and his team. Not only was GoKit found a solution their initial need, it also came about a platform that offered them and intuitive way of managing all the operational and tactic part of their content marketing! GoKit has put effort and dedication into learning how to set up and use the platform during the implementation phase – and personalized the solution to make it their own. Such dedication has given a boost their results, even in the early days of the implementation!